Even when compared to the other great cities of southern Spain, Granada has a beauty and charm all of its own. From its magnificent Alhambra palace to the enchanting neighbourhoods of Albaicin and Sacromonte, this Andalusian city is likely to be the most magical destination you’ll every visit. 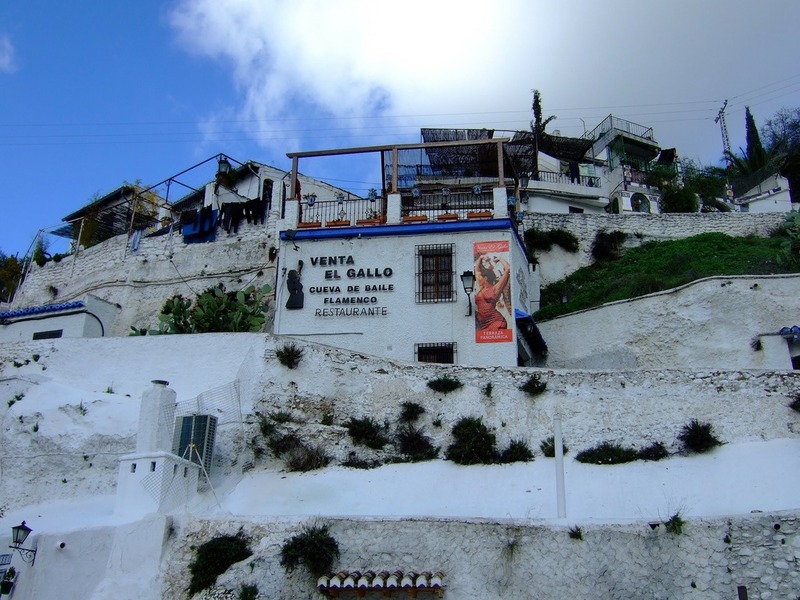 This chunk of whitewashed houses sits on the hillside directly opposite the Alhambra, on the other side of the Darro river, and is one of the most enchanting and other-worldly barrios in the country. Replete with winding little lanes, gypsies playing guitars on benches, the aroma of frying onions and peppers drifting from open windows and sun-baked squares lined with orange trees, Albaicin is as magical and romantic as anything you’ll experience on your travels throughout the world. At the top of Albaicin is the Mirador San Nicolas, a spacious square backing onto a church of the same name. 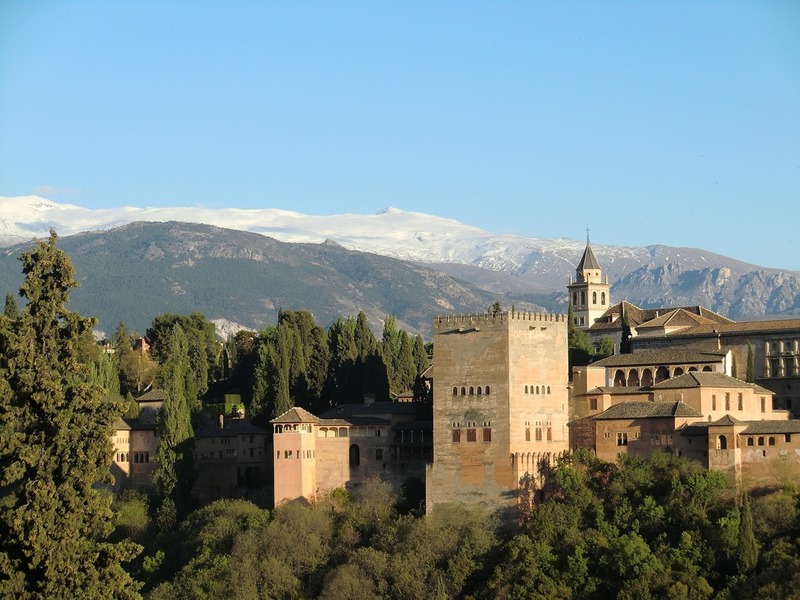 From this popular gathering-point, the views of the Alhambra fortress – perched on top of the hill straight across the Darro valley – and the crisp peaks of the Sierra Nevada mountains behind it are ridiculously beautiful. 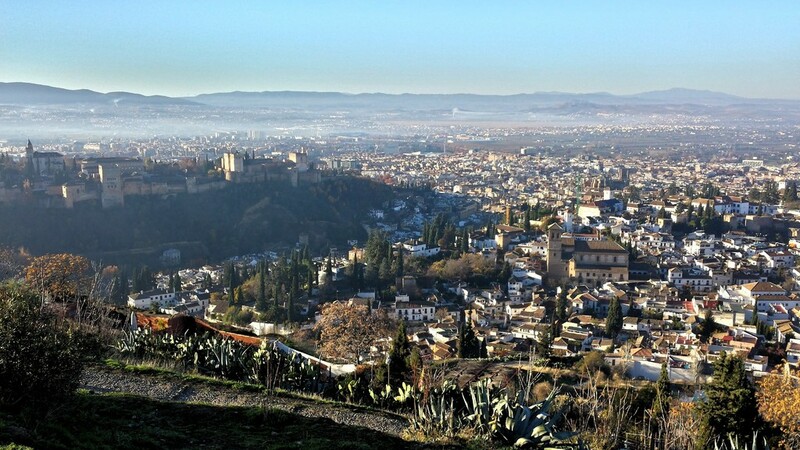 At night, the scene laid out in front of you is even more breathtaking, with the Alhambra seeming to glow in a soft orange light and Granada glittering in the valley far beneath. Sacromonte is the old gypsy quarter of Granada, where locals still live in caves that were carved into the hillside a couple of centuries ago. The simple country way of life here has barely changed over that time either, as you’ll see as you wander up the cobbled lanes amongst the white-and-blue caves and into the cacti-studded scrubland above Sacromonte. This is an area saturated in flamenco and you’ll hear its distinctive sounds coming from the caves as you wander. And if catching these strains of voice and guitar leaves you wanting more, the quarter’s many flamenco cave-theatres provide nightly shows. For a bite to eat and cold beer whilst exploring Sacromonte, head to Bar Pibe. Located about halfway along Sacromonte’s “main” street – i.e. the only one wide enough for cars – it has a lovely terrace with spectacular views of the Alhambra and the Darro valley. As the greenery beneath you thrums with the high-pitched hum of crickets, keep the cold ones coming whilst you contemplate Spain’s greatest Moorish monument and enjoy the colourful street life of Sacromonte. Granada’s star attraction and one of the most famous historical monuments in the world, is the 10th century Alhambra complex. Though a small fort was built on this site in the 9th century, the structure we see today dates mainly from the 13th; the fort itself is surrounded by beautiful gardens filled with fountains and nightingales and linked by shaded paths to the Generalife, or summer palace. As you wander through the cool rooms, the walls of which are masterpieces of Moorish interior design, you are instantly transported back to the majesty of Islamic Spain. The forest that surrounds this fascinating building and its grounds is hardly less magical. One of the Alhambra’s best-kept secrets is the network of tunnels, caverns and dungeons that was built underneath it by both Moors and Christians. Though the vast majority of these are closed to the public, their entrances can be glimpsed as you wander the grounds and the surrounding forest as well as from the Paseo de los Tristes, which faces the rugged hillside on the other side of the Darro river. 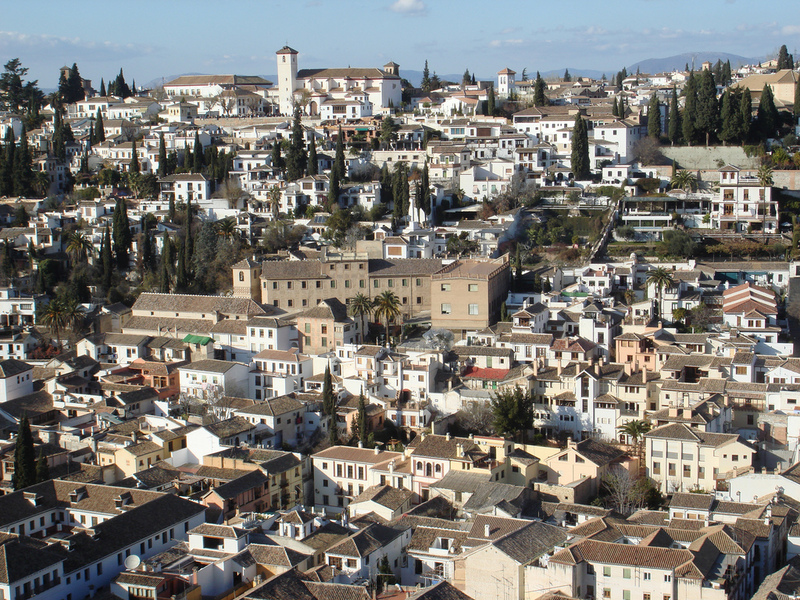 Historians and locals of Albaicin also say that some of the grandest houses in the old Arabic quarter are linked up to the fort, once enabling Granada’s most important figures to lead secret lives. One of the best places to catch the sunset in Granada is from the cobbled square in front of the San Miguel Hermitage high above the old Arabic quarter. The Ermita de San Miguel Alto is reached by a flight of concrete steps that begin in the cacti-studded countryside behind Albaicin (specifically, behind Plaza Aliatar, on which there are some great bars) and is a popular spot for teenagers, who chat and drink beer on the little stone wall. From up here you can see all of Granada spread out beneath you and when the sun goes down the sky puts on a spectacular display of reds, oranges and purples. At the top of the hill next to the Alhambra are gardens straight out of a fairytale. 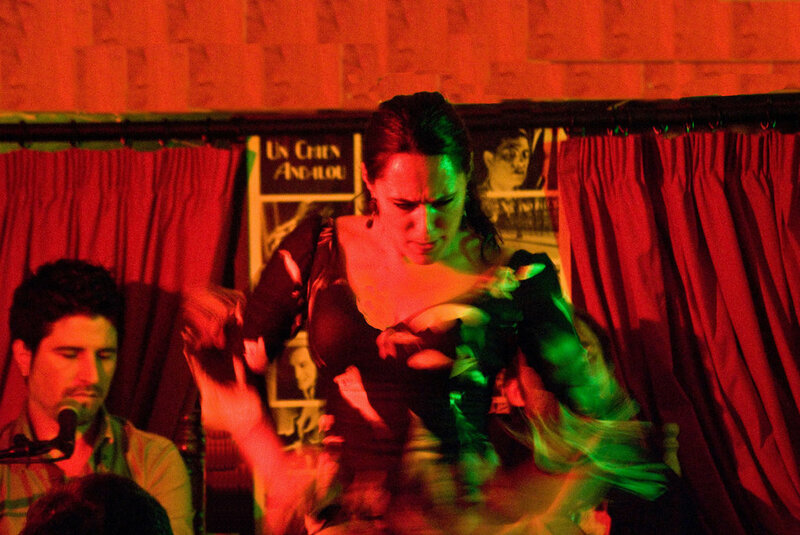 The Carmen de los Martires were once the grounds of the grand 19th century residence that sits in their midst (and that’s now an events space). Their tranquility casts a spell over you as you wander amongst pretty flowerbeds and ponds and in the middle of the gardens there stands a little turret: duck in, climb the mini flight of stairs to the top and survey the verdant haven which surrounds you. If you’re thinking of proposing in Granada, by the way, this spot would take some beating. Granada’s prettiest and most romantic street begins at the northern end of Plaza Nueva and weaves alongside the Darro on the edge of Albaicin as far as the Paseo de Los Tristes. An early-evening stroll down here is as bewitching as anything Granada has to offer: the stately old houses that rise up from the riverbanks are overgrown with ivy and bright flowers and the river runs under a couple of ancient bridges that take you into mysterious streets at the base of the Alhambra. No wonder that this magical pathway features on about 90% of the postcards in Granada. Granada has one of the strongest flamenco heritages in southern Spain and was the hometown of Enrique Morente, said by many aficionados to be one of the art’s modern greats. You can’t help but come into contact with this passionate, complex art here: it is performed in the streets and squares (especially on Plaza Nueva) and drifts from hidden gardens in Albaicin and the caves of Sacromonte. There are plenty of theatres and bars offering nightly shows of excellent quality, especially around Plaza Nueva and in Sacromonte. Le Chien Andalou, situated in a cave on the Carrera del Darro, is particularly recommended. One of the delights of Granada is that, with every beer, wine or soft drink you order, you receive a plate of tapas for no extra charge. This is by no means the case in other Andalusian cities – where tapas has to be ordered and paid for – and is something for which Granada is sought out by Spanish tourists as well as foreign visitors. The portions are often generous too, meaning that for the price of a couple of glasses of wine (in total about 5-6 euros in most bars in the centre) you can eat a meal. Magical for the wallet and a great way to sample a range of Andalusian cuisine. Though, like anywhere, you might encounter the occasional surly waiter in Granada, you will generally receive a warm welcome from its locals. In most bars or restaurants, a second visit is all it takes to be welcomed back like family – a feeling only enhanced by the constant stream of free and unbidden tapas. Should you get talking to any locals, you’ll find them warm, full of humour and passionate about their city (if you can understand their notoriously thick accent). After a few days caught up in this magical city and amongst its people, you’ll be under Granada’s spell; indeed, it happens that people arrive here intending to stay a few days and end up staying a few years. You’ll see why.